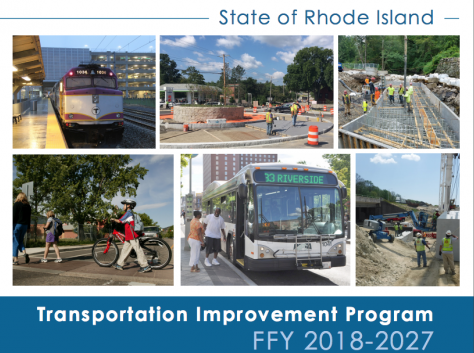 A major amendment to the STIP (State Transportation Improvement Plan) was presented by RIDOT (Rhode Island Department of Transportation) to the State Planning Council on Jan 10 and will be presented to the State TAC (Transportation Advisory Committee) on Jan 24. The amendment addresses a shortfall in funding and includes a reduction of $27.67 million from the TAP (Transportation Alternative Program) over 10 years, to be redirected to support pavement capital and bridge capital programs. The TAP is the source of all state bicycle and pedestrian road and sidewalk projects in the STIP. The amendment includes recommendations of what bicycle projects will be unfunded. The presentation to the TAC is open to the public to attend and will be followed by 30 days for public comment. Anyone interested is encouraged to attend the TAC meeting (Thursday 1/24, 530pm, Department of Administration, One Capitol Hill, Conference Room A) to hear the amendment presentation. The TAC will vote to hold public hearings and begin a public comment period. In addition to addressing the crippling cuts to TAP funding, we can consider the opportunity to move away from planning active transportation as “alternative” and move toward the more cost-effective, efficient, and successful approach of holistically addressing all road users and transportation modes in every road project.